*100% Brand New High Quality Li-ion Battery. *Uses the latest Lithium Ion battery technology. Advanced lithium-ion technology keeps phone working at optimum performance. 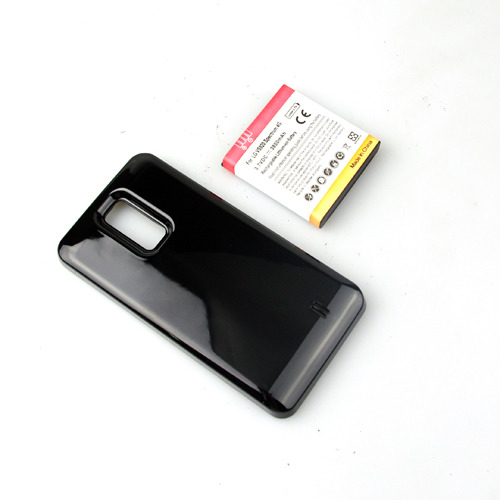 *The Best Replacement Extended battery for your phone. *Excellent Quality Extended battery, Integrated circuitry ensures safe operation and long lasting battery life. *This Battery has an integrated microchip that prevents overcharging and lengthens battery life. *100% Brand New Battery Back Cover . * Includes extended-size battery cover door (replaces original battery door). * Battery cover maintains opening for camera. * Keep your cell phone look new. * Colour:Black ( as Shown ). For LG Spectrum VS920 , Revolution 2 (Verizon). 1x3800mAh Extended Double layer Battery.